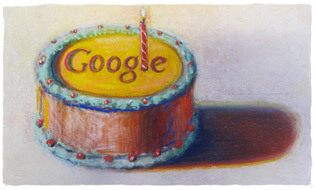 Every year in september Google celebrates birthday. On september 27, 1998 started as a privately held company. They started as search engine company trying to be faster and better than Yahoo ( search engine number one at that time). And today? Google is all in cloud computing and become a tech trend maker offering still search engine and more; a lot of web apps and services. Next PostHow to make Android app?